Last night His Royal Highness The Prince of Wales was joined by Geri Horner, Eleanor Tomlinson, Phillip Schofield, Felicity Kendal CBE, Simon Callow and Fearne Cotton at our annual Invest in Futures gala dinner. The event, which was supported by Aston Martin Lagonda, took place at The Savoy and saw philanthropists and supporters coming together to raise £1.5m, which will help young people who are unemployed, struggling at school or at risk of exclusion to get their lives on track. Featuring exclusive performances from Laura Mvula and Texas, the West Side Story inspired evening was attended by HRH The Prince of Wales alongside supporters from across the globe who helped to raise vital funds for our work. A silent auction on the night featured a range of unique lots donated by supporters of The Trust, including a Spice Girl’s tour and meet and greet and an Aston Martin driving experience. 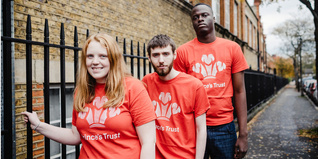 Alongside the entertainment and auction, the audience also heard the inspiring stories of several Prince’s Trust Young Ambassadors. Aisa Ali was suffering with poor mental health and had experienced spells of homelessness when she turned to The Trust for help. The challenges she’d experienced in her home life meant she missed an extensive part of her year 11 schooling, and things took another turn for the worse when her grandad and a close family friend passed away in quick succession. 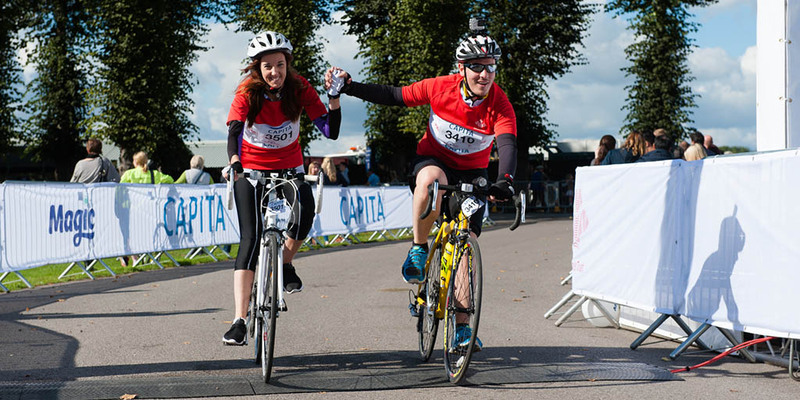 It was Aisa’s brother who told her about The Trust and persuaded her to sign up for the Team programme. The experience was transformational for Aisa, who flourished on the programme and came away from it with new skills and a determination to build on everything she has learned. The Team programme made a huge difference to how I see myself – it brought out the best in me and I’m a lot more confident in my abilities now than I was before. I found a new level of self-control and discovered I’m actually really good at communicating and building strong connections with people. Aisa went on to secure a job through CEVA Logistics, a company she visited while she was taking part in the Team programme, and is now extremely positive about her future. 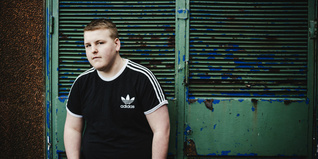 The generosity of our Invest in Future guests will enable The Trust to provide the practical and financial support these young people need to stabilise their lives and help them to live, learn and earn. 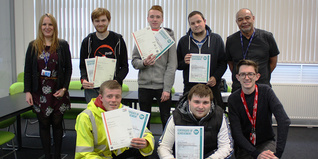 Andy Palmer, President and Group Chief Executive Officer at Aston Martin Lagonda, said: “The Prince’s Trust supports tens of thousands of young people across the UK every year, with three out of four moving into work, education or training. We think this extraordinary success rate speaks volumes about the importance of giving young people the opportunity to fulfil their potential. We would like to thank everyone for joining us here tonight and for their generosity in supporting this very worthy cause. 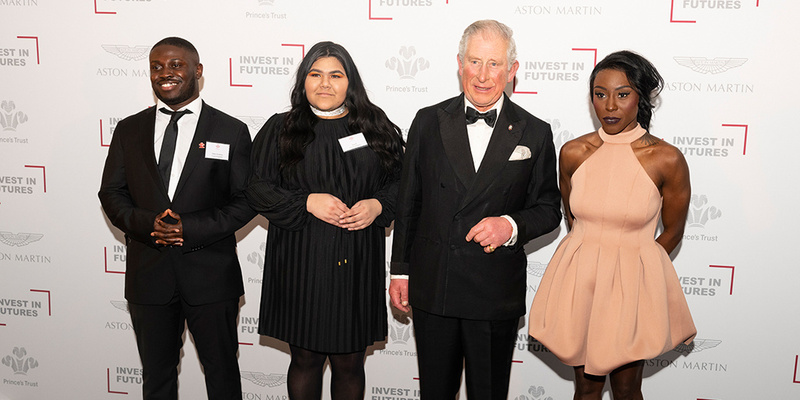 Now in its 14th year, the Invest in Futures dinners and auctions have raised more than £23m for The Prince’s Trust, giving tens of thousands of young people the opportunity to develop the skills and confidence they need to move into work, training, education or volunteering. 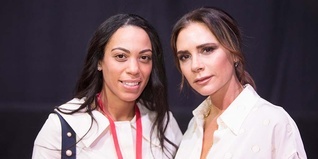 Victoria Beckham OBE offered her unique insight into business in an interview with Claudia Winkleman at a Prince’s Trust Enterprise Fellowship event. 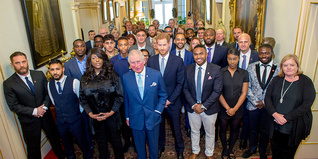 Their Royal Highnesses The Prince of Wales, President of The Prince’s Trust, and The Duke of Sussex today joined a discussion on the issue of youth violent crime.